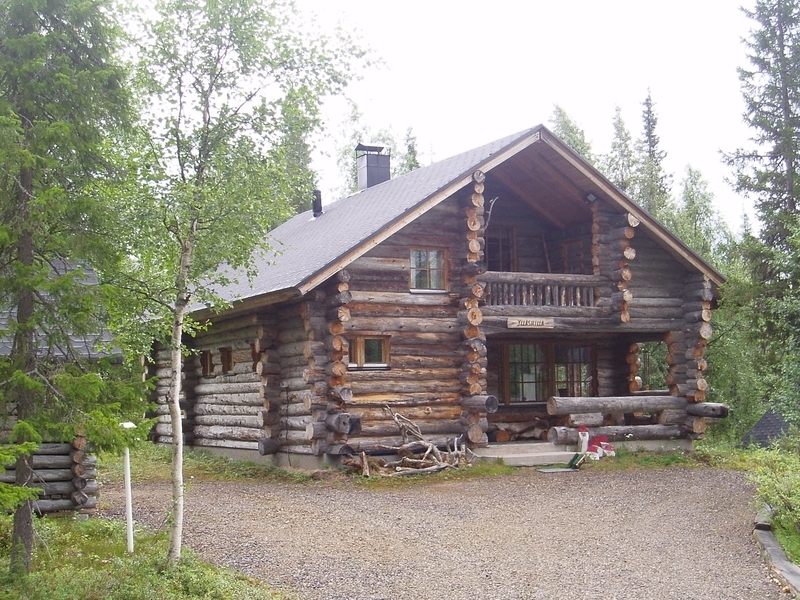 Ylläshilla, the well equipped, high class, yet cozy log cabin is situated in Nilivaara, Äkäslompolo. The area is calm and private, a perfect place for anyone looking for quietness and tranquility. Never the less, all the services, skiing tracks and nature walks are close by and it's easy to get to the slopes of Ylläs as well. The cabin is equipped with lots of toys for the kids. 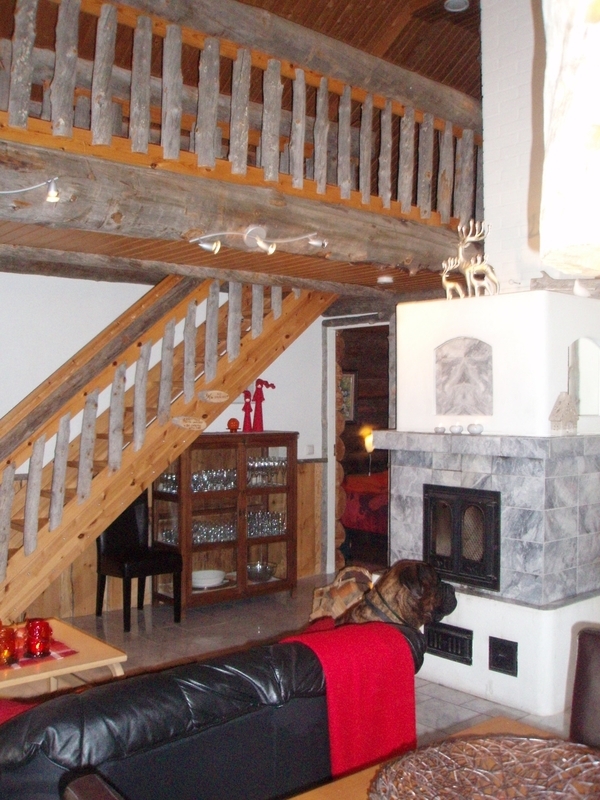 This family owned log cabin welcomes all pets and there's also free wi-fi. 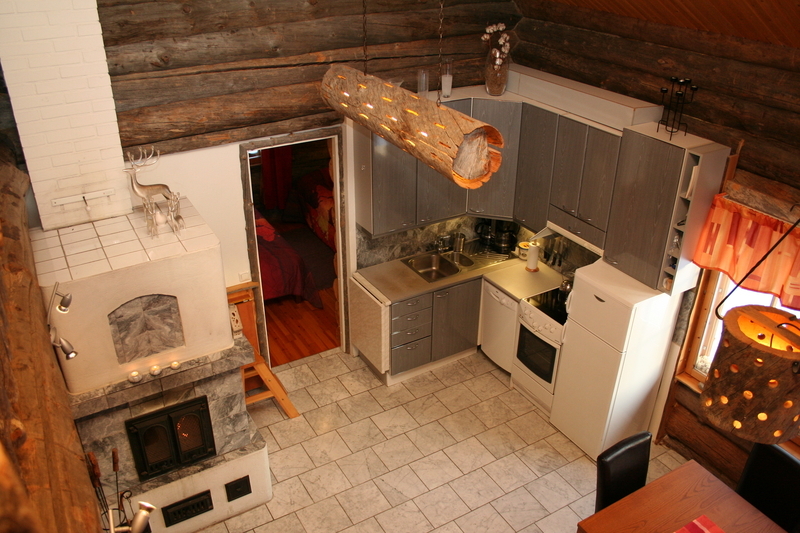 Ylläshilla log cabin is suitable for families, couples and all kinds of groups up to 10 people. The cabin is also suitable for physically challenged; there is for example a wheel chair ramp available. 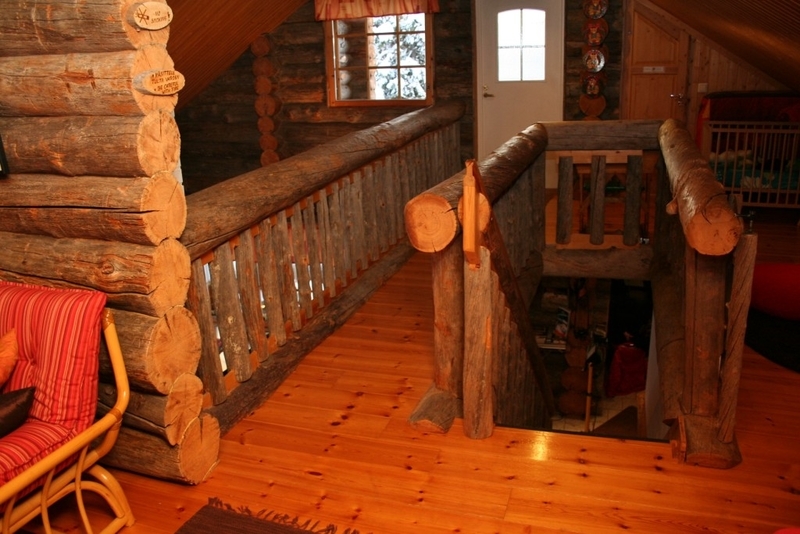 There are three bedrooms and a spacious mezzanine in the log cabin. 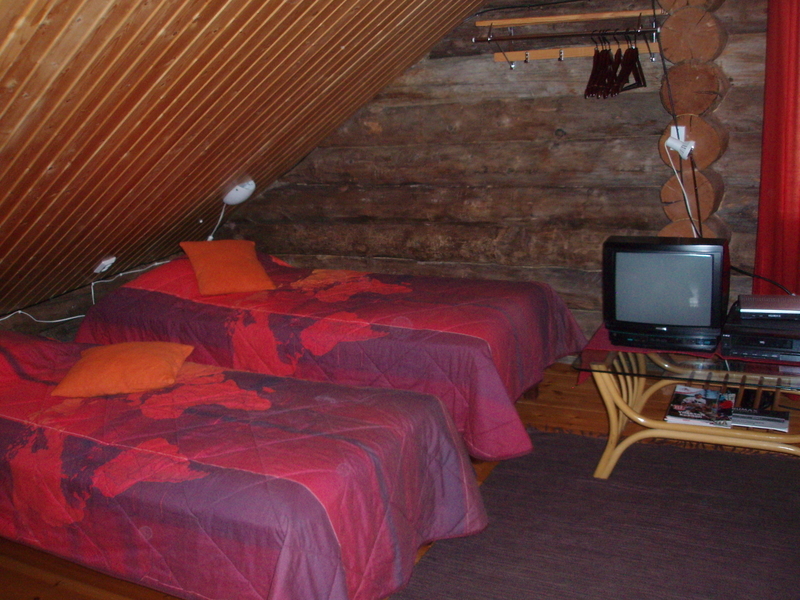 One of the rooms has a double bed and in the other two, there are two beds in each. The separate beds can be combined together. 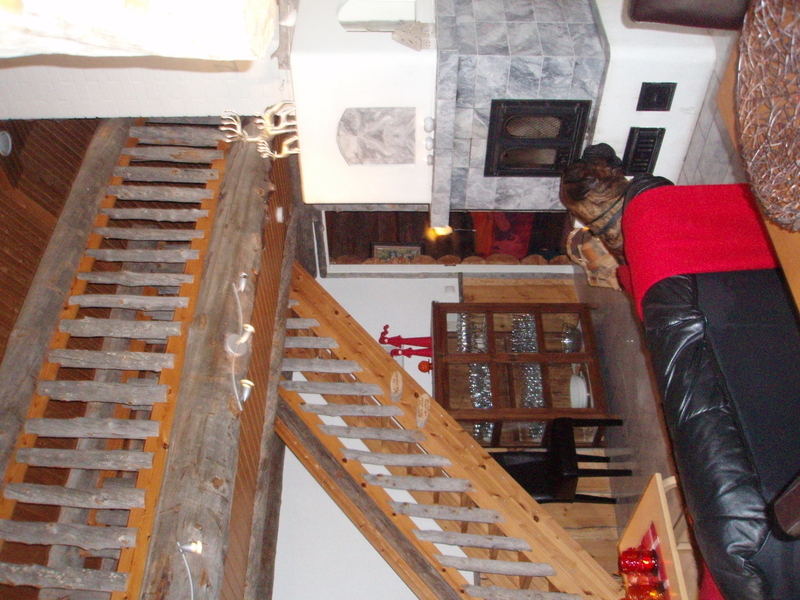 On the mezzanine there are four more beds and a crib and lots of space for playing, watching TV etc. The kitchen is well equipped for cooking and serving even for a larger group, but there’s also a possibility to order the meals from a local catering company. In the yard, there is a traditional Sami hut that has electricity. The hut is perfect for the exotic Lapland style nights by enjoying delicious blazing salmon, listening to traditional Sami folklore or even by experiencing a Sami rite of passage. Behind the hut is a small pond and a clear water stream. 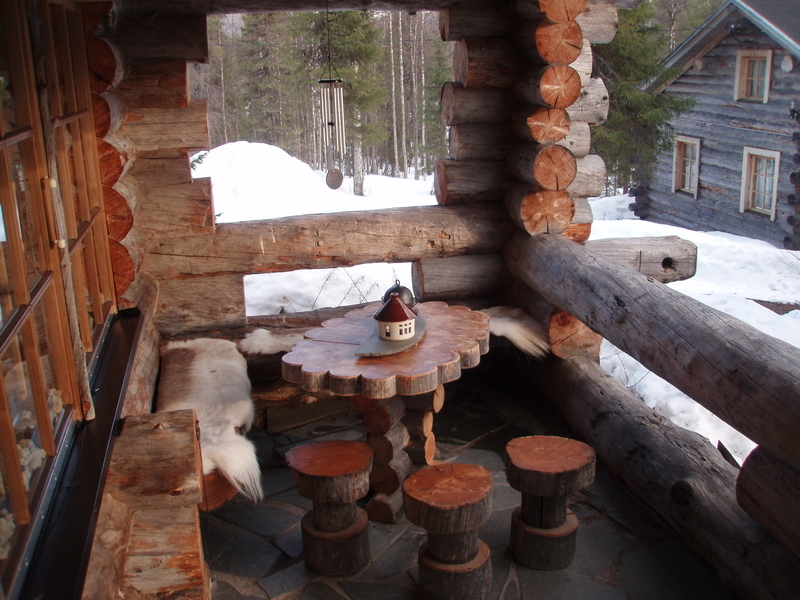 The view from the Ylläshilla log cabin is beautiful. You can see two fells, Ylläs and Kellostapuli. After a sauna you can cool off on the patio, or enjoy the view upstairs on the balcony. The log cabin is situated in the end of the street of Ollintie, so there isn’t any traffic passing by. Privacy is guaranteed. Never the less Ylläshilla is near by the services of Äkäslompolo village. During the summer Ylläshilla is surrounded by deep shades of green, which slowly turn into blazing autumn colors. The peaceful and pure nature of Lapland offers great opportunities to diverse activities. The ski bus stop is around 400 meters from the cabin. There are three bicycles in the shed, two men’s and one women’s style. In the shed there are also fishing rods and winter sport equipment (sleds, kick sleds and scooters) for the kids. Hiking trails and ski tracks start from the front door. In the surrounding area you can pick wild berries and forest mushrooms or even do some fishing in the lakes and rivers nearby. During midwinter months the polar night keeps the sun from rising, but along with the spring, light returns and you can enjoy the sunbeams reflecting from the blankets of snow. 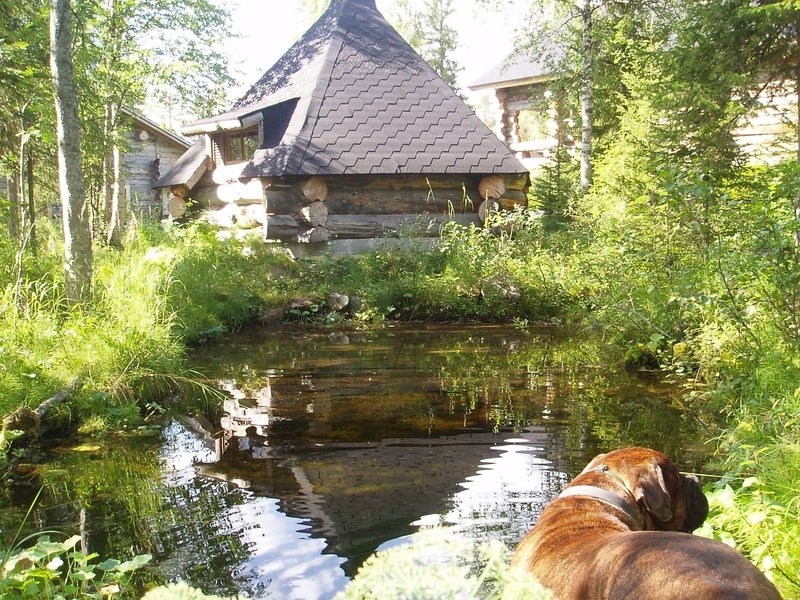 Ylläshilla log cabin is a cozy and easy home base for all kinds of activities in the area, or for just relaxing and enjoying the exotic tranquility of Lapland’s nature. 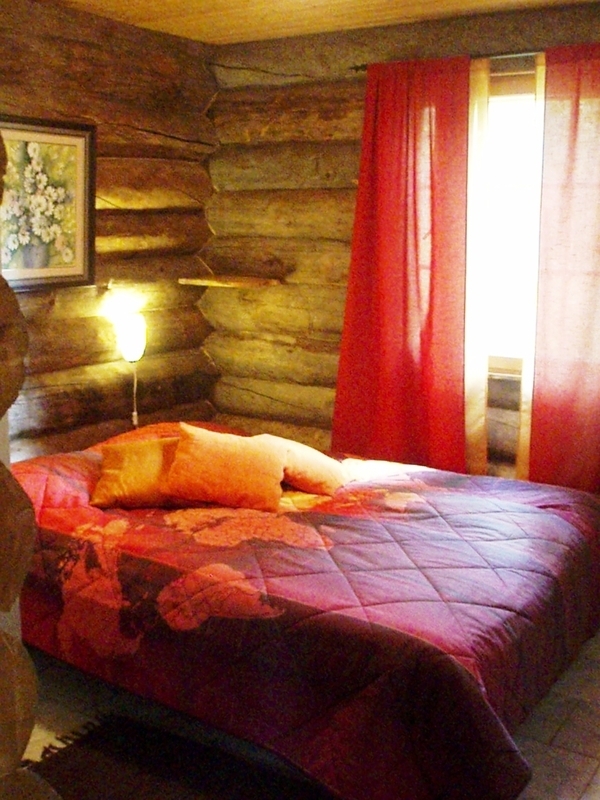 Welcome to our calm and beautifully decorated traditional log cabin! ACTIVITIES AND SERVICES With the help of our partners we are able offer wide variety of customized activities to accommodate all your wishes. These activities include: • Husky mushing • Visits to local reindeer farms • Reindeer sledging • Snowmobile safaris • Ski schools (skiing, snowboarding, cross country, telemark) • Snowshoeing trips • Northern lights (Aurora Borealis) viewing • Horse riding • Animal farm • Fishing trips • Kayaking and canoeing • Mushroom hunting • Wild berry picking • Traditional Finnish smoke sauna evening • Various exhibitions and cultural sights, for example The Särestöniemi Museum • Catering services • Sami rite of passage • Pick-up from Kittilä airport Should you have any other wishes, please don’t hesitate to ask – we are happy to help! 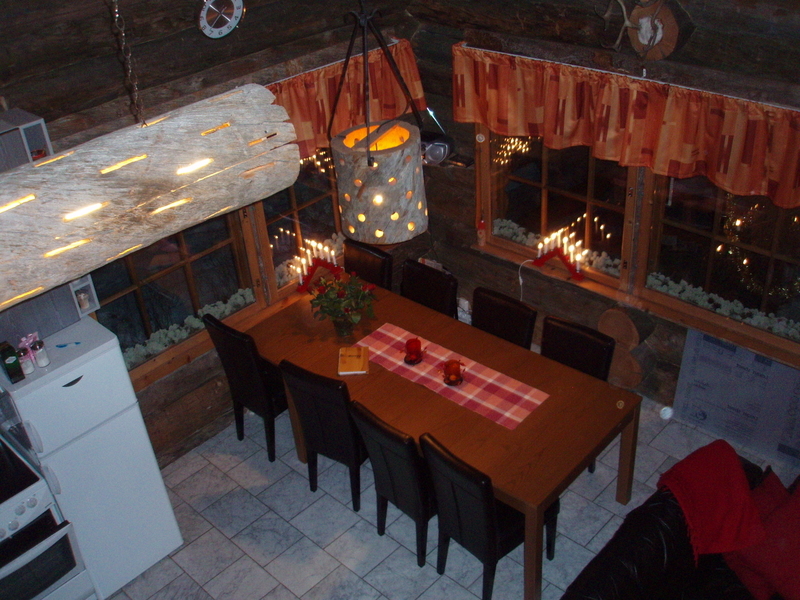 See more www.lumihilla.fi - YLLÄSHILLA LOG CABIN IS WAITING FOR YOU!